As our minibus with 17 eager, but apprehensive balloonists drove through the gates in the dark, the outlines of graves became clearer – yep – we were in the lawn cemetery. 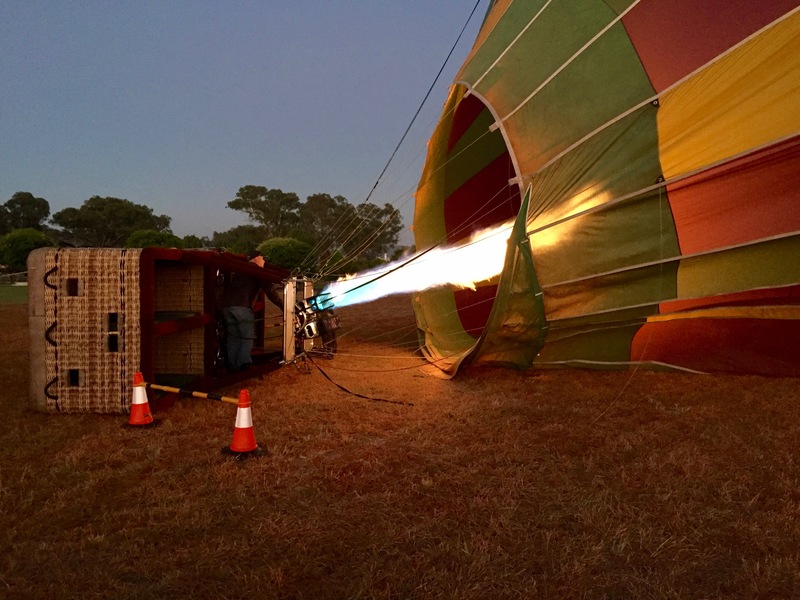 With its huge stretch of unused grassy section, the hot air ballon was unloaded and laid out on the lawn. 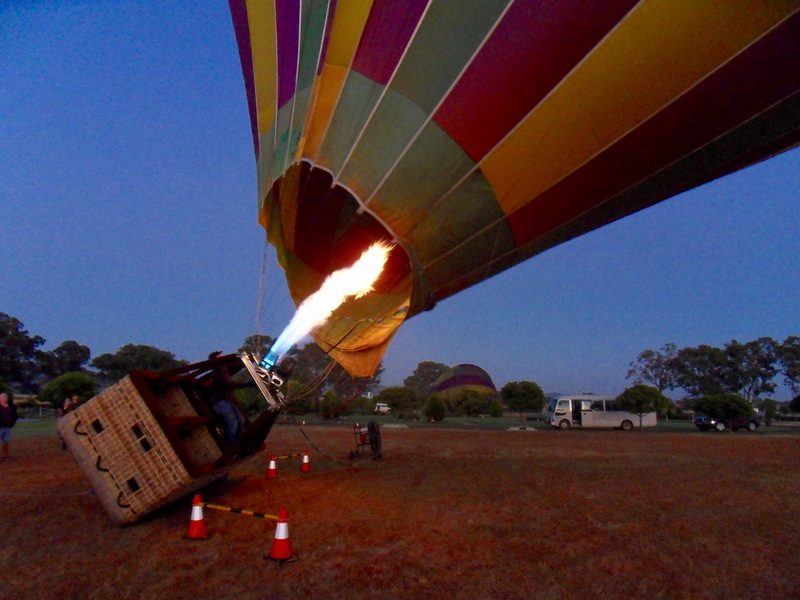 With its dumpster-size wicker basket attached, Clay, our pilot, started up the burner and slowly, in the half-light, our balloon burgeoned into its gorgeous colours and pattern. And then the basket started to rise and the reality set in that soon we would be aboard. We were allotted a space in one of the four compartments and I climbed most unladylike into the basket. 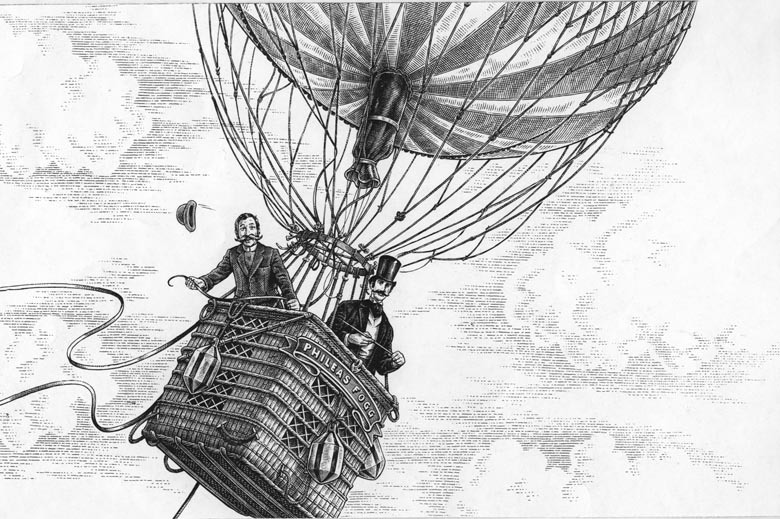 And like Phileas Fogg in ‘Around the World in Eighty Days’ (albeit the movie version), we were flying! Soon, the sounds of dogs barking, birds calling and cows mooing, grew silent. Unlike the pic above, there was the absence of the sensation of wind. It was surreal as we were travelling with the wind, at about 30 kms an hour – we were flying in a vacuum. 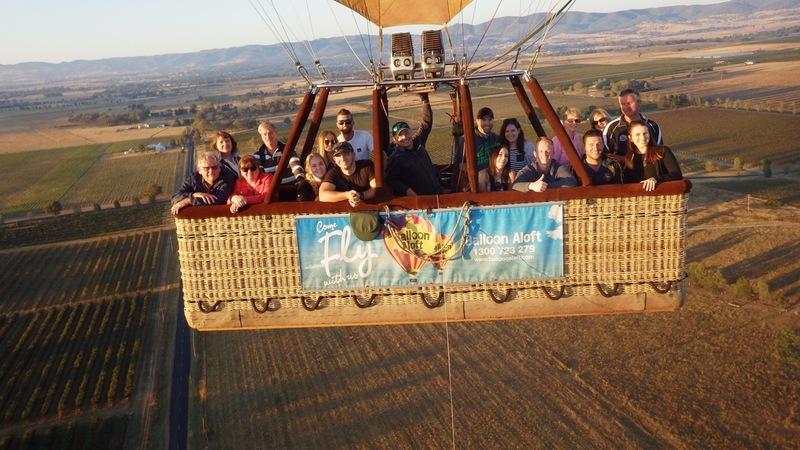 With Clay giving bursts from the burner and adjusting the vents at the top of the balloon we sailed – over dams, vineyards, fields of sheep and roos and the meandering Cudgegong River … we spun as we sailed, west became east and east became west. Another ballon, with a P-plate pilot, was travelling with us. After an hour in the air and reaching a height of almost 7000′ we started to descend. Our ears popped as we again heard the morning warbling of magpies, cows mooing, dogs barking and the early morning traffic heading into town. We took our landing positions (scrunch backs into the wicker, grab the ropes inside) and watched the fields draw closer. With another couple of bursts from the burner, we shot up again to avoid the row of trees and the powerlines that appeared from nowhere, and with the greatest of ease, we landed in the middle of a thistle paddock. Ouch! 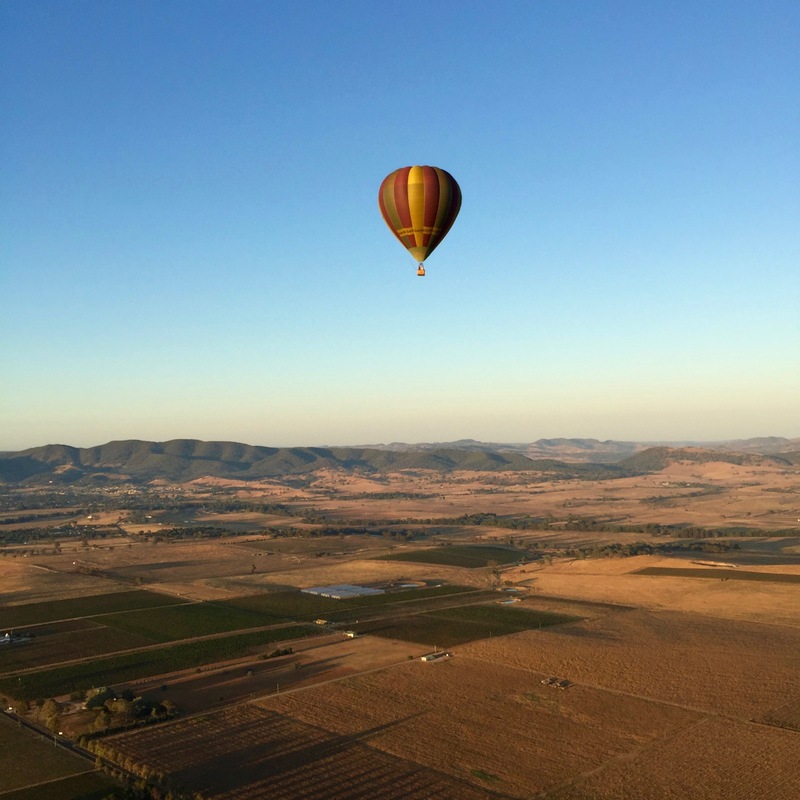 This entry was posted in Travel and tagged Australia, hot air balloon, Mudgee on March 11, 2016 by marian. Beautifully descriptive Marian. Guess arising from a graveyard is better than descending into one!